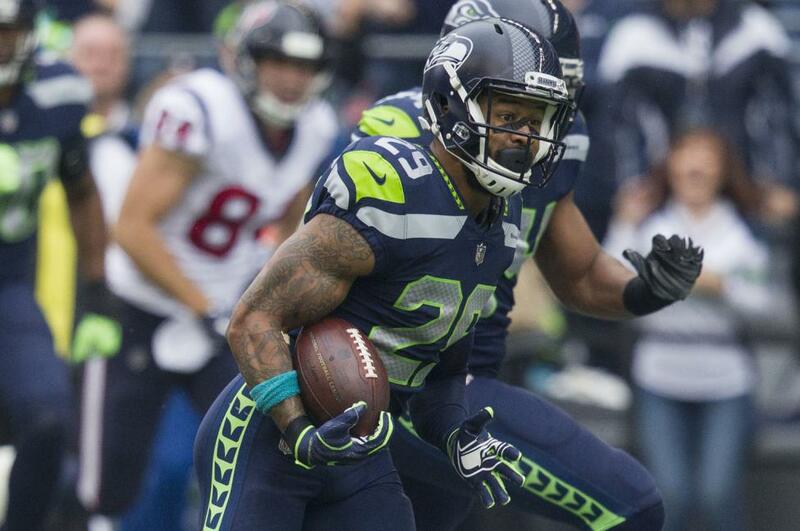 It might be only a matter of time before Seahawks safety Earl Thomas gets his way -- a one-way ticket out of Seattle. Seattle has been shopping the disgruntled Pro Bowl selection. Multiple reports say the Seahawks are asking for two second-round picks, and they are standing firm on what they want for the 29-year-old safety out of Texas. Thomas is in the final season of a four-year, $40 million deal. At the end of this season, he will become an unrestricted free agent. Two potential suitors, according to NFL.com, are the Kansas City Chiefs and Dallas Cowboys. The Cowboys have been mentioned as a primary landing spot because of his ties to Texas, where he played his college ball. Despite his unhappiness, Thomas has started off strong this year. He has 19 total tackles, four passes defended and three interceptions. The trade deadline is Oct. 30 at 4 p.m. ET. Thomas was the 14th overall pick in the first round of the 2010 NFL Draft by Seattle. In eight-plus seasons with the Seahawks, Thomas has 660 tackles and 28 interceptions in 124 career regular-season games. In 2017, the three-time first team All-Pro totaled 88 tackles and two interceptions in 14 games.